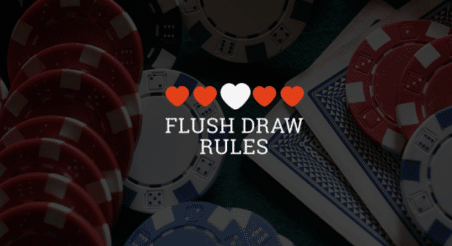 Here are the questions, answers, and explanations from our preflop quiz. Question #1. True or False: You should never limp preflop. It is acceptable to limp behind other players who have limped when you have a hand that is too weak to raise but too strong to fold. Given that you are incentivized to call, it is worth taking the opportunity to limp behind with hands that play well in multiway pots, and which are capable of making big hands postflop. On the other hand, limping as the first person to enter the pot (a.k.a., “open-limping”) is almost never better than raising or folding. The only exceptions are open-limping from the small blind and open-limping when you have a specific read on a player behind, both of which are sometimes fine. Question #2. Consider the following hand. AQs will tie or dominate all the Ax hands that the cutoff would call with versus Hero’s 3-bet, so it stands to win a bigger pot on average than 88 or KQs. Note that KQs is also a good hand to frequently 3-bet for value button versus the cutoff, but AQs is just a bit better. Additionally, though 88 will usually play better as a call, 3-betting for value is a good adjustment to make if the cutoff open-raises and/or calls 3-bets too frequently. Question #3. Fill in the blank: You should open raise to a ______ size when playing a game with antes, compared to a non-ante game. Using a larger size prevents the other players, especially the player in the big blind, from being offered great pot odds to call or 3-bet. Also, a larger size will help you avoid playing multi-way pots as the preflop raiser. Question #4. Which of these situations warrants the loosest preflop raising ranges?  Cash game, 100 big blinds deep. ✅ Tournament, 50 big blinds deep, with antes in play.  Tournament, 50 big blinds deep, without antes. With antes in play, there is more dead money in the pot to go after — usually around one extra big blind, depending on the size of the antes. So, you get a better price on your raise since you risk roughly the same amount to win a bigger pot. Question #5. Consider the following hand. Both A2s and A9s block the strongest hands that the cutoff and small blind can have (AA, AK, AQ, AJ, etc. ), but A2s is a better squeeze because it has better postflop playability and will force folds from more dominating Ax hands than A9. 44 should almost never be 3-bet, here. It is a perfect hand to call and take a multi-way flop with. A9s should be called as well. Question #6. Fill in the blank: When your stack decreases from 100bb to 40bb, you should usually 3-bet with a _____ range of hands. With the threat of a 4-bet shove looming, you should only 3-bet value hands that can comfortably call a shove, and bluffs that can easily fold to a shove. A linear 3-bet range would contain hands like QJs and AJo, which really do not want to face a shove. Note that if you know the open-raiser is unlikely to 4-bet, using a more merged 3-betting range with more medium-strong value hands can be a good adjustment. Question #7. Consider the following hand. QJs is a strong enough hand with which to flat call, not only because of its flush and straight potential, but also because it dominates some of the HiJack’s Qx and Jx hands. The HiJack’s continue range versus a 3-bet will contain many hands that dominate QJs and only a few worse ones, so 3-betting would be a mistake. 76s and A5s benefit from making better hands fold with a 3-bet. Although these hands will also be dominated sometimes after 3-betting and getting called, they have good equity and playability postflop versus a strong calling range. Also, they can also fold out better hands from the preflop raiser’s range when we 3-bet with them. ✅ The tendencies of the player in the big blind. If the player in the big blind is loose, it makes sense to use a larger raise size to worsen their pot odds on a call. Conversely, if the player in the big blind is very tight, it might be worth using a smaller raise size to improve your own pot odds. Generally, you shouldn’t vary your raise sizes based on position because the drawbacks usually outweigh the benefits (see this article for an in-depth explanation). Varying your raise size based on your hand is almost never a good idea because it reveals too much information about your range early in the hand. Question #9. Consider the following hand. It blocks the top part of villain’s calling range (AQ, AJs, ATs) and 5-bet range (AA, AK). When called, it still has a lot of equity and playability. Even against a monster hand such as QQ (which, granted, might 5-bet shove), A4s has 33% equity. 64s is a somewhat reasonable hand to 4-bet, but it doesn’t have as much going for it as A4. If you answered 64s and would call with A4s, you can give yourself an honorary point for this one. AJo is a perfect hand to flat call the 3-bet with. Question #10. Consider the following hand. All 3 of these hands are getting a good enough price that they can profitably call, but 64s will have the most playability and be dominated least often in a 3-bet pot.